Oasis biocompatible cleaners not only break down, they break down into good things! 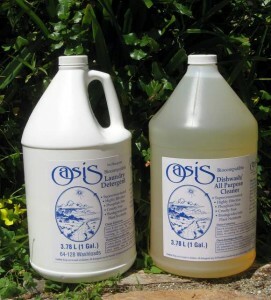 Oasis wash water contains no plant toxins – our unique formulas biodegrade into plant nutrients! 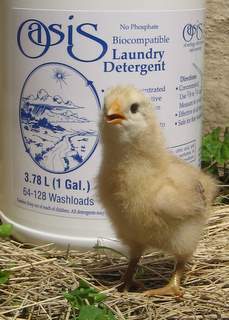 Ordinary biodegradable cleaners have a high pH level, contain the plant toxin sodium and sometimes chlorine and boron as well. Oasis enables the sustainable reuse of wash water (greywater) for irrigation, the most ecological treatment option. By recycling water and nutrients, natural waters are kept pure. Oasis is also suitable for septic tank or sewer disposal. For more information about our Oasis line of Biocompatible Cleaners, please contact us.